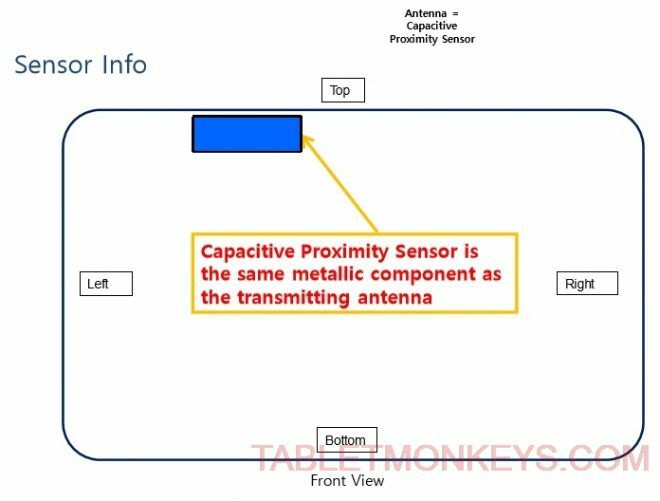 I’ve found some new information on the largest of Samsung’s tablet due in 2019, as the Samsung Galaxy View 2 have just been FCC approved, which have brought with it some new official specs in the process. The Samsung Galaxy View 2 is indeed a 17-inch tablet, or precisely 17.24 inches is the size of the display on the screen. So a little smaller than the 18.4-inch predecessor, but still a large tablet. 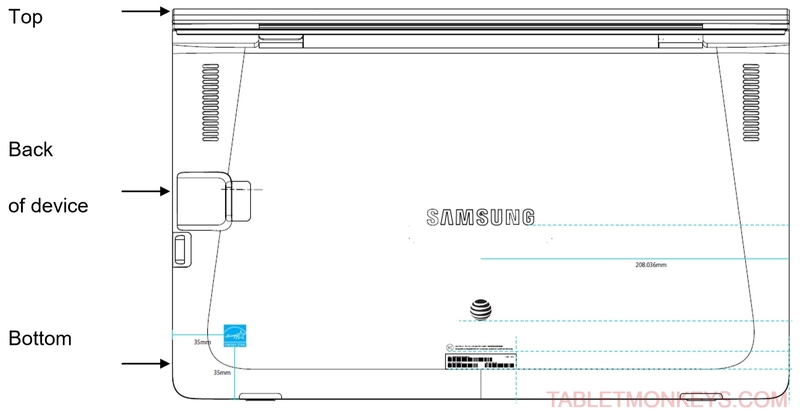 As for other dimensions, the Samsung Galaxy View 2 is measured to be 417mm wide, meaning about 2 inches wider than a typical 15.6-inch laptop. 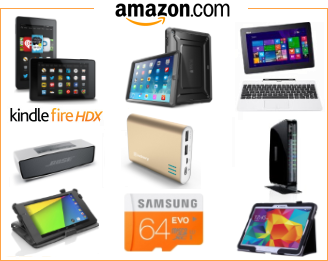 The Samsung Galaxy View 2 model that have been approved, is the SM-T927A 4G LTE version, and it can now be confirmed to feature specifications like dual-band 2.4 GHz and 5.2 / 5.8 GHz 802.11 a/b/g/n/ac Wi-Fi, Bluetooth 5.0, 4G LTE on the SM-T927 model, a USB Type-C port, a 3.5mm audio combo jack, microSD card slot, a front camera, and a 45.6Wh battery. Among other specs, the Samsung Galaxy View 2 features the same kind of wireless power reduction through proximity sensing that the Samsung Galaxy Book 2 features, where the wireless output is reduced wherever a person is close to or holds their hand on the tablet. 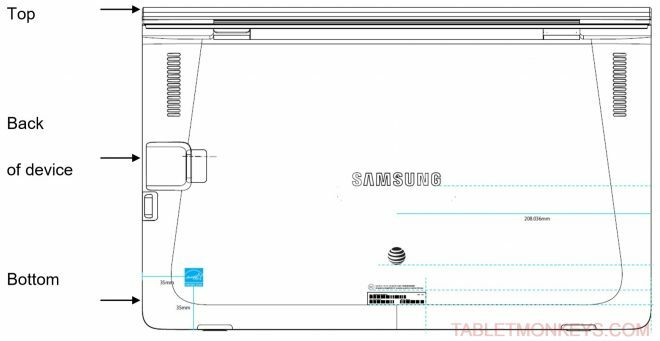 As we can see by the FCC approval, this Samsung Galaxy View 2 has the AT&T logo on the back of it, so AT&T will be one of the first to sell this 17-inch tablet when it is launched soon.